All home resources are enjoyable, effective and research-based. Educational advice and guidance is available from our specialists – contact us. $80 pa for the first user in a family, $40 pa for additional users purchased at the same time. 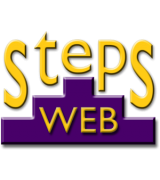 StepsWeb is an online programme which has the main Courses and Wordlists features of Steps (see above). As with Steps, it is completely customizable, but also provides easy-to-follow courses. A placement test will tell you where to start and the programme will analyse the learner’s errors and provide individualized reinforcement. Over 8,000 words and sentences already provided, but you can also add your own! Steps Home Digital Download - 1 Year Licence $80.00 p.a. Up to 5 learners, annual subscription. Caters for learners from 5 years to adult. One of the leading literacy programmes in the world! Enjoyable and highly effective. Develops key reading, spelling, language and vocabulary skills. Plenty of games and activities to choose from, but also an easy-to-follow course which automatically provides the right activities and practice. Caters for any learner, even those with dyslexia and other difficulties. Used by thousands of schools, dyslexia and ESOL teachers, parents and home-schoolers. Completely customizable to individual needs. Pack of game/activity materials which can support any literacy approach. 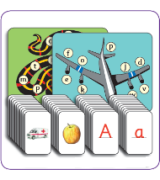 Range of enjoyable games and activities to teach alphabet/phonic knowledge and phonological awareness. 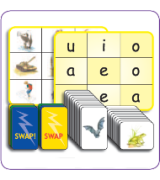 Effective and very popular set of games which develop phonological awareness and phonic knowledge. 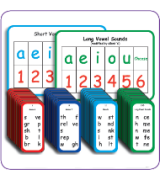 Collection of games to develop short vowel awareness. Includes card sets and bingo options. Higher level set of game cards. Covers vowel digraphs, ‘r’modified vowels, ie/ei, and the ‘er’ sounds. 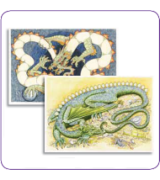 Set of 6 laminated wipe-clean A3 gameboards which enable a vast variety of additional games.